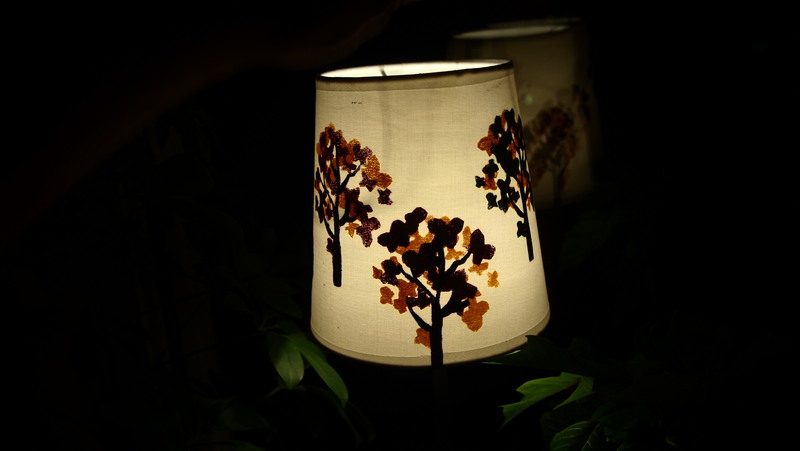 I made this lampshade yesterday just using some stencil plastic and fabric paint. I copied the design from one of my favourite fabrics from the Moda collection “Just Wing it by Momo” and made the pattern into three seperate layers of stencil. 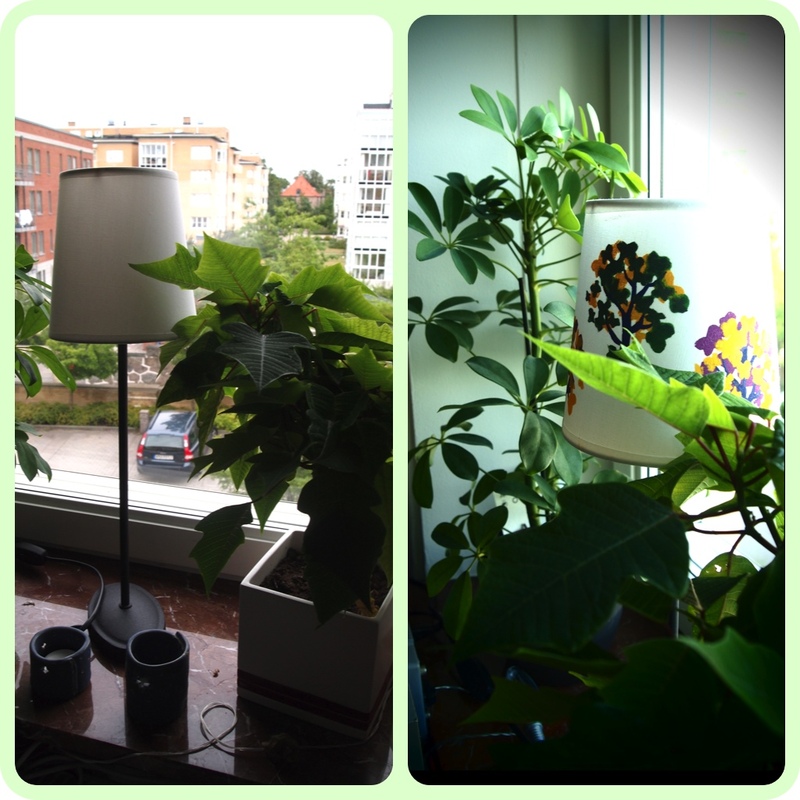 I think the pictures explain the process better than words would, if they don’t, leave me a comment. This technique would suit printing on clothing just as well, I’m going to have to try it soon. 1. 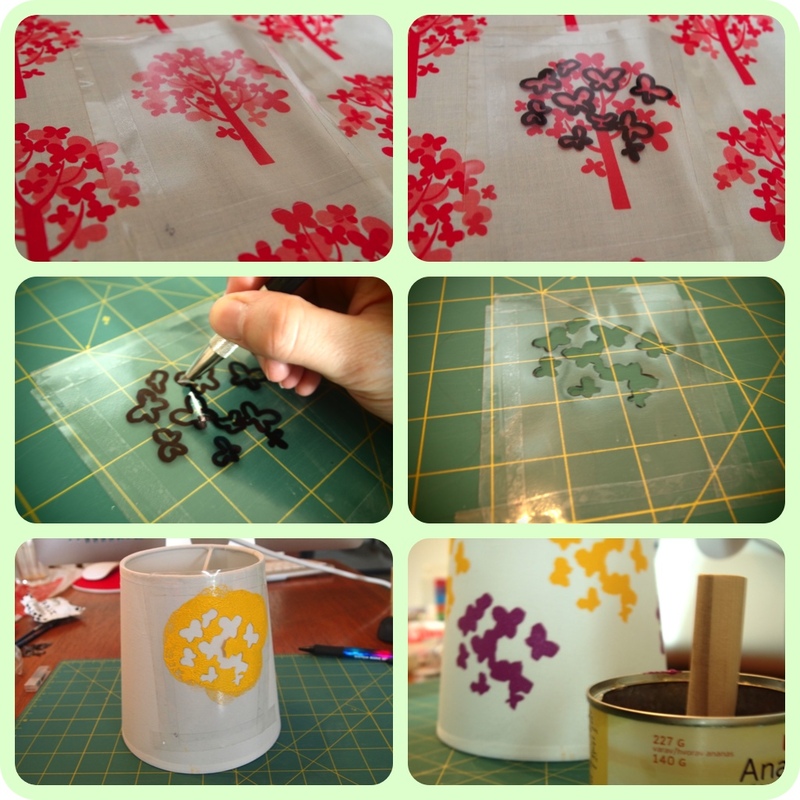 Tape the stencil plastic on top of your design. 2. 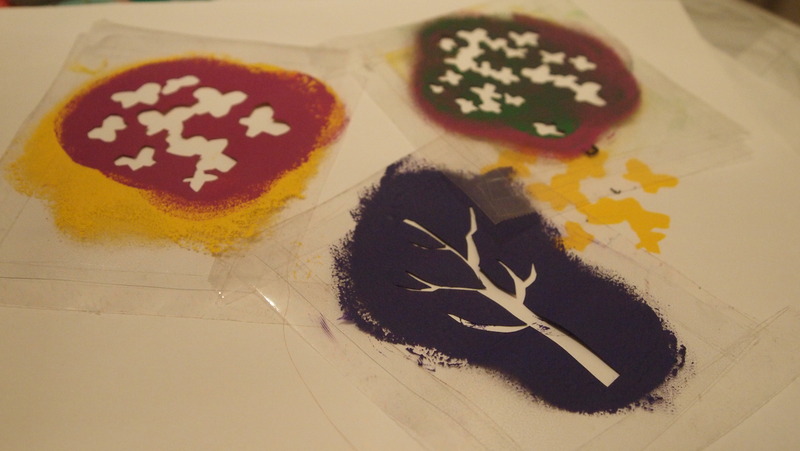 Outline the layer of the design that you are making the stencil out of. 4. The stencil is done. 5. 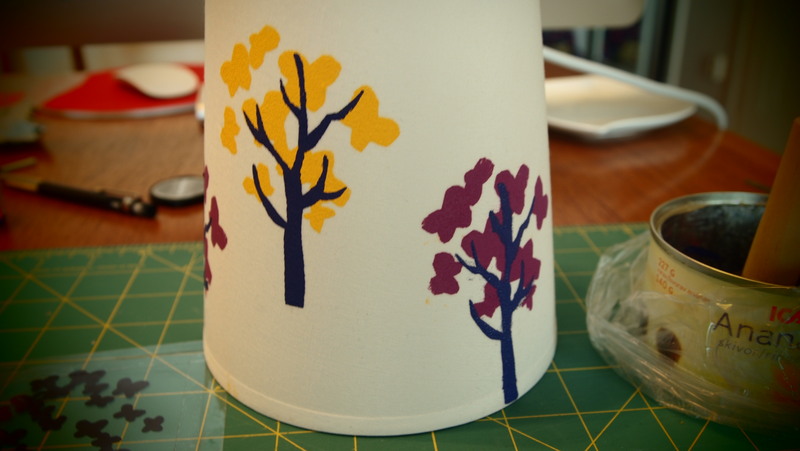 Tape the stencil to the lampshade. 6. After the first layer of paint. Categories: LyllosMig, Printing | Tags: fabric paint, Stencils | Permalink.